We're moving through March faster than a book club moves through a bottle of Pinot Grigio. No judging here. But, before we tip our hats adieu to March, and with it old man winter, we wanted to call out a few of our favorites for this time of year. As always, each featured wine is 10% OFF for the duration of the month, both in-store and online, so don't hesitate to stock up. A superb expression of what Beaujolais Cru is all about at an extremely affordable price. Winemaker Jean-Claude Lapalu is one of the giants of the Beaujolais revival and a leader in the French natural wine movement. This wine comes from 45-year-old vines that are certified organic and have undergone biodynamic conversion. It is very well structured with fine tannins, medium plus acidity and body, and is bursting with notes of cherries, plums and spices. Fresh and juicy, but also satiny. I recommend doing what I did and making this your everyday wine, you will not be disappointed! The uniquely Canarian cordón trenzado trellising system depicted on Suertes del Marques' label reminds us that we are enjoying the fruit of one of the world's most far-flung vineyards. A Tenerife-bred, Listán Blanco (Palomino) and Pedro Ximénez-led blend, Trenzado offers smoky and saline aromatics thanks to the vines' proximity to the Atlantic as well as the varietals themselves, which drive sherry production on the Spanish mainland and contribute savory and oxidative qualities on the part of Listán Blanco and nutty, figgy undertones in PX's case. Trenzado's crisp mouthfeel and structured finish stem from the volcanic, mineral-rich, and phylloxera-free soils of Valle de la Orotava, which is not really a valley but rather the lower slopes of the world's third largest volcano. Quaff or contemplate alongside dishes that evoke the seaside like salade niçoise or shellfish. G.D. Vajra, one of my favorite producers from the Piemonte region, consistently produces wines of excellent quality. This area, that is located in the northwestern part of Italy, is one of the most beautiful wine regions in the world. The landscape is breathtaking, especially in the fall when the leaves on the vines turn to piercing colors of red, orange and yellow. Two generations of Vajras work together to constantly evolve and surpass themselves. Their bond and commitment to the land and one another is clearly the secret to their success. The 2017 vintage yielded wines of richness and lovely aromatics for G.D. Vajra as their vines were spared from the mid-April frost that devastated so many other vineyards in the regions. This Langhe Nebbiolo displays lifted red cherry and floral notes while pleasing the palate with its silky mouthfeel. Suggestion: Decant before serving. This will help the wine to open and express a broader range of aromatics and flavors. When I first opened a bottle of the Arterberry Maresh Dundee Hills Pinot Noir, I was immediately taken aback by the color of the wine. Its pale ruby complexion was a shift from the denser Willamette Valley Pinots I’ve become used to seeing. There is a brilliance to this wine, with a certain purity of color balanced against a backdrop of dazzling light, as if the wine was carved out of ruby itself. Don’t let the color fool you though, there is a concentration and intensity of classic Pinot Noir aromas – red cherry, forest berries, sandalwood, baking spice, violets and black tea – ready and waiting for you. With each sip, the soft tannins envelop your palate like liquid silk, and the wine's moderate alcohol and bright acidity keep it light and fresh. Pair this wine with a healthy dose of springtime sunshine for a perfect weekend afternoon. If you think Rias Baixas is just for albariño, you better do some fact checking because that’s #fakenews! This wine was born in a garage and keeps it old school with both the native varieties used in the blend and the lack of intervention during the winemaking process. What you get in the glass is a peppery, floral and brambly kind of delicious with fresh acid and supple tannins that make it so darn easy to drink…not to mention the low alcohol content. The best part is the salinity on the finish that’ll remind you this wine is from the Atlantic coast. Personally, I’d pair with take-out paella with a side of Netflix & chill. Eva Fricke is THE German producer to watch right now. She’s creating beautifully rich Rieslings from the Rheingau with complex mineral and primary fruit characteristics. The Kiedrich bottling offers aromas of candied lime followed by white peach, green apple, grapefruit zest, Meyer lemon, tangerine, citrus blossoms, white flowers, and crushed rocks. A perfect entry point into the world of age worthy, dry Rieslings. 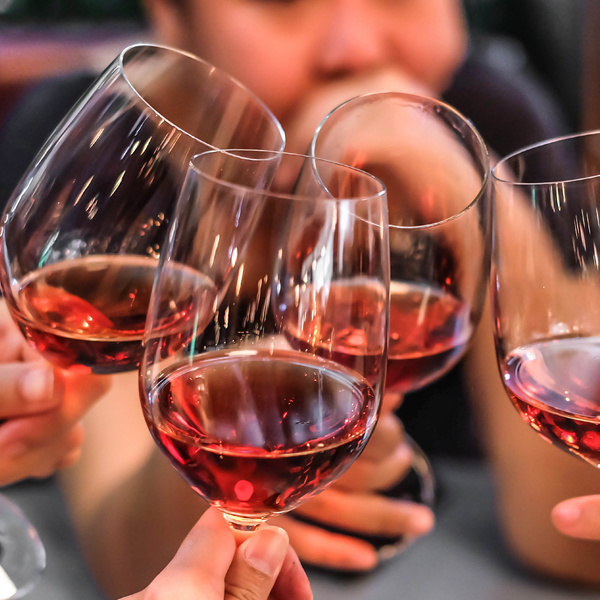 Each featured wine is 10% OFF through the duration of March, 2019.